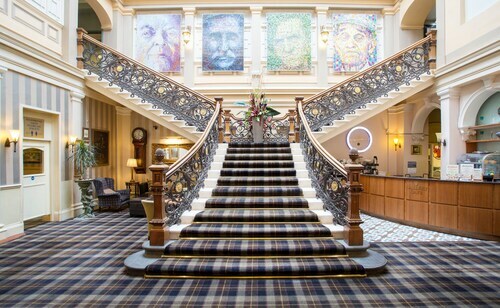 Located in Inverness City Centre, this hotel is within a 10-minute walk of Inverness Museum and Art Gallery and Inverness Castle. Bellfield Park and Inverness Cathedral are also within 10 minutes. Inverness Station is 14 minutes by foot. 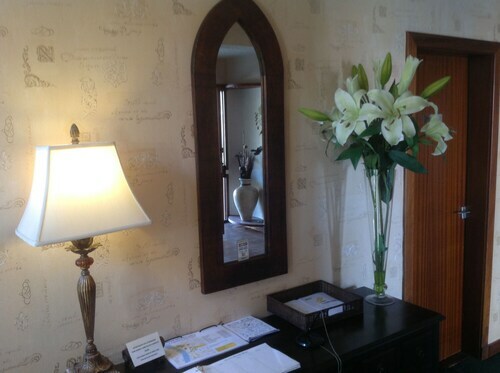 Located in Inverness City Centre, this hotel is steps away from Inverness Museum and Art Gallery and Inverness Castle. Inverness Cathedral and Eden Court Theatre are also within 10 minutes. Inverness Station is 11 minutes by foot. 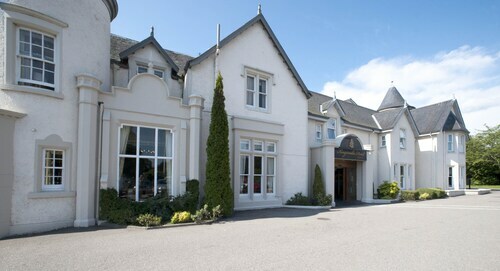 Situated near the airport, this spa hotel is within 1 mile (2 km) of Eastgate Shopping Centre and Inverness Castle. Inverness Museum and Art Gallery and Bellfield Park are also within 1 mile (2 km). Inverness Station is 21 minutes by foot. Located in Inverness City Centre, this hotel is within a 10-minute walk of Eastgate Shopping Centre and Inverness Castle. Inverness Museum and Art Gallery and Inverness Cathedral are also within 10 minutes. Inverness Station is only a 5-minute walk. Located in Inverness City Centre, this guesthouse is within a 10-minute walk of Inverness Museum and Art Gallery and Inverness Castle. Eastgate Shopping Centre and Inverness Cathedral are also within 10 minutes. Inverness Station is 6 minutes by foot. 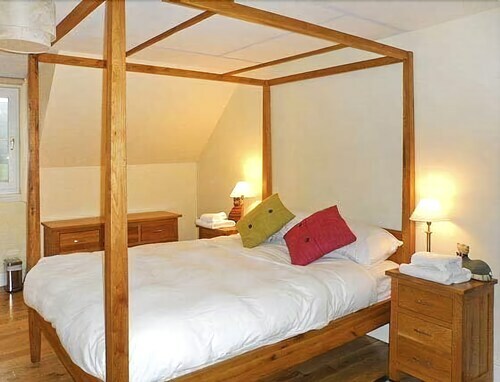 Situated in a rural location, this hostel is 0.2 mi (0.3 km) from Original Loch Ness Monster Visitor Centre and 2.1 mi (3.4 km) from Urquhart Castle. Loch Ness 2000 Exhibition Centre is 0.2 mi (0.3 km) away. 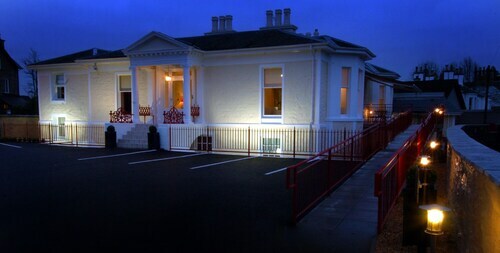 Located in Inverness City Centre, this luxury hotel is within 1 mile (2 km) of Bellfield Park and Inverness Castle. Inverness Museum and Art Gallery and Inverness Cathedral are also within 15 minutes. Inverness Station is 15 minutes by foot. 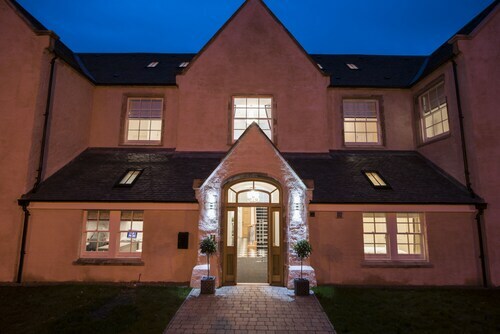 Situated in Inverness, this luxury bed & breakfast is within 9 miles (15 km) of Culloden Battlefield, Inverness Castle and Clava Cairns. Eastgate Shopping Centre and Bellfield Park are also within 9 miles (15 km). Situated in Inverness, this luxury lodge is 1.4 mi (2.3 km) from Moniack Castle and within 6 miles (10 km) of Beauly Priory and Glen Ord Distillery. Inverness Castle and Muir of Ord Golf Club are also within 9 miles (15 km). 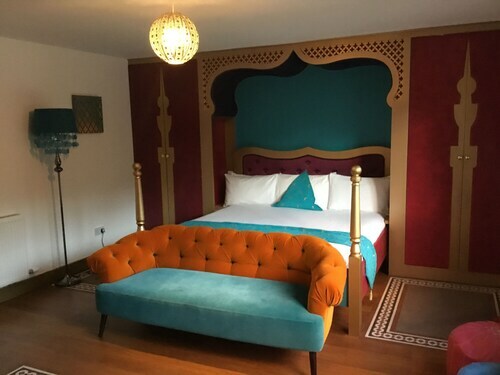 Situated in Inverness, this luxury bed & breakfast is within 6 miles (10 km) of Inverness Castle, Bellfield Park and Inverness Museum and Art Gallery. Torvean Golf Club and Inverness Botanic Gardens are also within 6 miles (10 km). So, you're considering a holiday to Inverness? If you want to find accommodation that's within a stone's throw of the sights, you can enter your holiday dates and then use the filters beside your hotel search results to find somewhere to stay near the area's attractions. You can choose among 198 Inverness hotels and accommodation choices to find a place you'd like to stay. 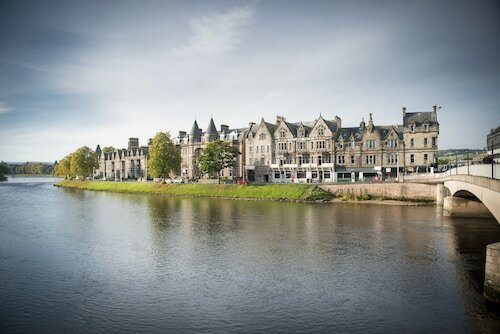 When you're deciding where to stay in Inverness, you can easily and quickly search ebookers for hotels that offer services such as high-speed Internet, a swimming pool or free airport transport. You can use the filters to narrow down your search for accommodation, so you can get the services that are important to you, such as an in-room kitchen or air conditioning. When making plans for your trip to Inverness, you can also use ebookers to find a convenient flight into Inverness (INV) Airport. You can narrow down your search by number of stops, airline or time of departure to identify one that'll work best for you. When is the Best Time to Explore Inverness? If you're wondering when is the best time of year to travel to Inverness, you may find this information about seasonal weather useful when you are planning your trip. The warmest months in Inverness are typically August and July, whereas the coldest months are usually February and January. The months with the most rain are March and October, whereas August and July have the least. From January to March, the average daytime temperature is 9°C and at night it is 1°C. Seasonal average rainfall is 9 mm. The daytime average temp from July to September is 17°C and the nighttime average is 7°C. Average precipitation for this season is 7 mm. Between October and December, the average temp during the day is 13°C and 1°C at night. Seasonal average rain is 9 mm. Average annual rainfall in Inverness is 31 mm. 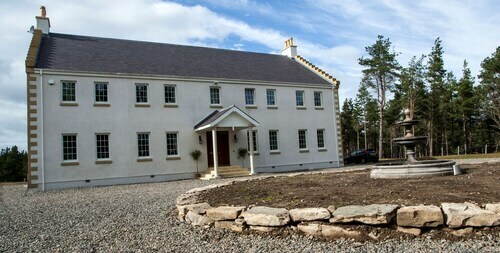 A home from home, best hotel in Scotland, bar none. Central position but very noisy inside and outside hotel in late evening. A very warm welcome and our room was warm and cozy, fluffy towels and a lovely shower. Breakfast was excellent and even had help with our bags and our hostt waited until the taxi left. We were very impressed and would highly recommed Rossmount. Place is really good, very clean and superb balcony views. We only had a 1 night stay, if your staying longer it's a good choice and good location. Only tiny negatives are nowhere to hang jackets, no wardrobe in 2nd bedroom. Also, we had my mother with us who is a little disabled so there were no grab rails by bath or bath mat, no doubt these features are in some of the apartments (we booked last minute as we had to travel to beat weather) so maybe best to check if this applies to you. Would not stop us staying again in the future though, highly recommend.